Experience Holy Week at Community Congregational Church. On Easter Sunday, April 21, we join with Christians around the world in the celebration of the resurrection of Christ. Worship includes a multimedia experience of Bible-based messages and engaging music. 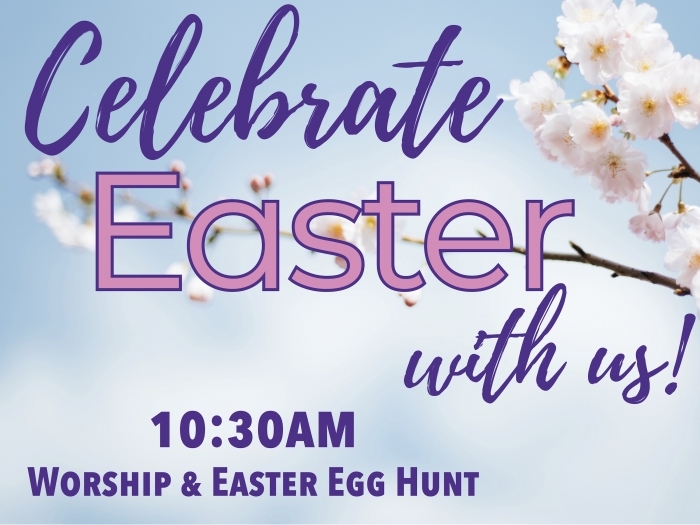 While parents are in worship, kids of all ages will sing and dance in an Easter celebration during the Children’s Ministry Program. Childcare for infants is available. At the conclusion of worship, parents are invited to join their kids for an Easter Egg Hunt! If you cannot make it to worship in person, all services are broadcast in real time on Facebook Live. Click here to go to the Community Congregational Church Facebook page. Community Congregational Church is an inclusive church community in Short Hills (200 Hartshorn Dr.), where everyone who wishes to follow Jesus is welcome, where worship is a multimedia experience of Bible-based messages and engaging music, where our children’s ministry is fun and faith-building ...and where we’re excited to welcome you! For more information on Holy Week programs, please visit www.CommunityChurch.org, like us on Facebook (Community Church, Short Hills), and follow us on Instagram (@communitychurch_shorthills).